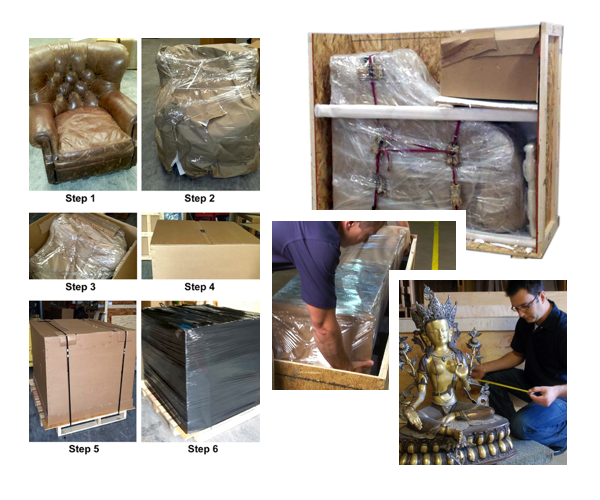 The Packaging Store is your solution to pack your delicate, ornate, large and heavy objects. We take care of everything. From packing to shipping and even crating, the industry-leading professionals at the Packaging Store make getting things where they need to be headache-free. We don’t just shove letters in envelopes and books in boxes, we take care to protect your valuable or fragile items like they were our own. With 30 years of experience, we’ve never met a package we couldn’t secure. No matter what you have, we have the experience to pack it perfectly. Furniture and Antiques: Intricately carved chairs, expansive mirrors, and one-of-a-kind treasures in all shapes and sizes are no challenge for our packaging team. If it is difficult to pack, come to the Packaging Store and let us take care of everything. We will ensure safe transportation of your valuable and treasured furniture and antiques with custom packing and shipping solutions. Electronics & Computers: Business and home computers and electronics must be handled with care. If you need your office – or entertainment center – packed perfectly, the Packaging Store is ready to meet you where you need us. No matter the size nor the number, we will pack your machines securely and professionally. Need more peace of mind? We also offer Transit Insurance. Crating: Some items are simply too big or too awkward to fit in a box. At the Packaging Store, we have a solution to fit every shipping need. The Packaging Store’s custom crating service protects and stabilizes everything from motorcycles to jet engines. Our shipping experts craft wooden crates that can protect your items even when shipped internationally. Moving Supplies: Moving to a new country? Maybe just across town? Either way, we have everything you need to move worldwide or down the street. We have crating, boxes, tape, bubble wrap, containers, and whatever else you may require. At the Packaging Store, we are proud to be a one-stop-shop for all your needs, even if it is just a roll of tape and some moving advice.